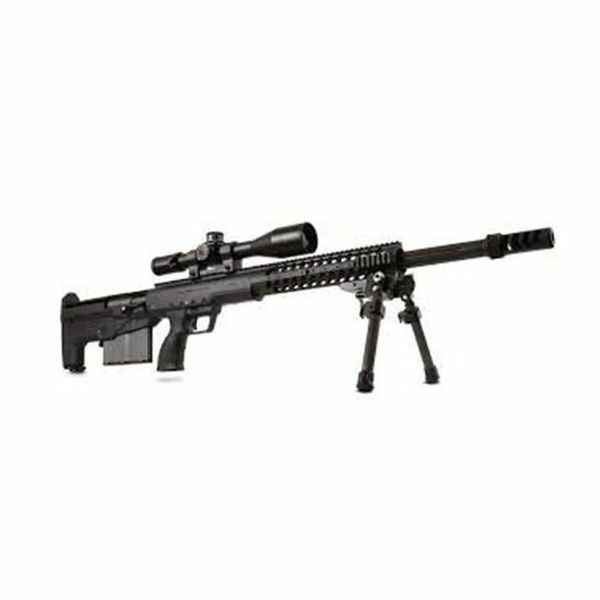 Desert Tech DESERT TECH HTI c.50 BMG BLK/BL (Scope & Scope Mount Not Included) - Solely Outdoors Inc.
Due to a canceled foreign military contract we were able to get these at special price. Normally these are $11,000 and do not include the drag bag which is valued at $500. These 50cals are in use by Lithuanian Armed Forces and Czech Republic Ministry of Defense, plus many others users worldwide that are classified. The scope and mount showing in picture not included. Built at military standard, HTI is accurate to 2000+ yds.